Welcome to the p2m MTB power meters! The NGeco MTB is your new training partner, if you want to get most out of your MTB training and racing. With +/- 2 % data accuracy and reliable power data to reach your goal will not longer be a matter of “I believe”, but instead of “I know”. NGeco MTB power meters are robust and waterproof. 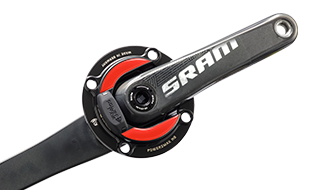 They offer you the basic power meter function power and cadence and can be individually upgraded to further functions, like Left-Right Balance or Pedal Smoothness. The Type S is your new training partner, if you want to get most out of your MTB training and racing. With +/- 2 % data accuracy and reliable power data to reach your goal will not longer be a matter of “I believe”, but instead of “I know”. 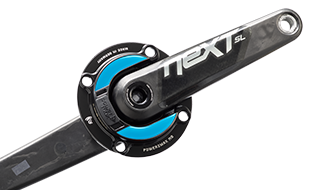 Type S MTB power meters are available for double drive trains with BCD 110/60 mm. Developed for the offroad-use, the Type S is robust and waterproof. 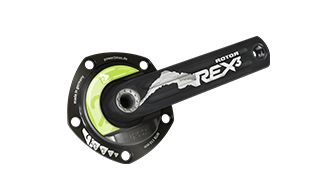 It offers you the power meter function power and cadence and left-right balance.